Happy Thursday, lovecats! 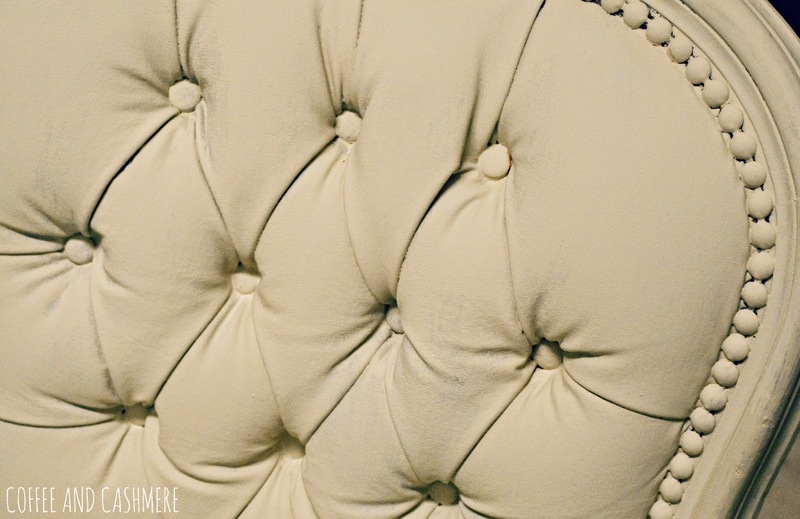 I am stopping in really quick to share two photos of a chair I restored. I will share more before and after photos of it next week. 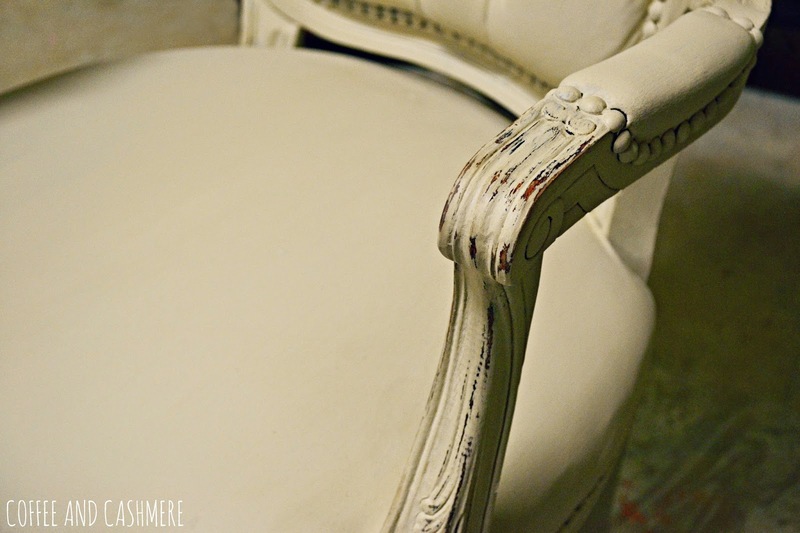 I also have a ton of photos to share with you guys of things I've chalk painted and distressed. My whole home is going to be chalk painted before long. Sorry I'm totally not sorry.